I went off to see what list comprehensions are all about. Lately I’ve run across several bits of Python I’ve wanted to use. I don’t mind Python so much but I’m certainly rusty; I spend some time on StackOverflow where I run into the term “list comprehension” quite a bit. They sure like whatever that is so I went off to investigate. Someone might want one of those in Perl, hence the click-baity title of this post (a better one might be “12 Ways to…”). In the wide world, these things are powerful. Programming in something like C is a good way to remind you how much work some of these features save you (or work in Smalltalk and lament that we took the wrong path). 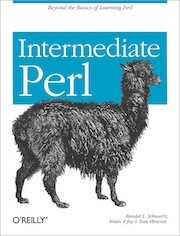 In the Perl world, you’re probably thinking “what’s the big deal?” We tend to do that a lot, but exploring features from other languages can teach us quite a bit about the one we think we know. List comprehensions provide a concise way to create lists. Common applications are to make new lists where each element is the result of some operations applied to each member of another sequence or iterable, or to create a subsequence of those elements that satisfy a certain condition. That’s not as satisfying as the Python syntax, especially since I have to mess around with multiple $_s. Python also has builtin ways to turn objects into iterable thingys—a feature I wish Perl had. If I cared about this more than as an example, I’d want to do even more work to check the comprehend argument types to ensure that they are array references and in the subroutine argument to check that $a and $b are the right sort of values (although a Python list comprehension might need to do that too). Since $c isn’t a special Perl variable and the use v5.22 line enables strictures explicitly (see Implicitly turn on strictures with Perl 5.12), I need to declare those. I moved the hard-coded loop complexity into variable declaration complexity. That’s the Law of Conservation of Complexity at work. Complexity that I remove in one place must show up somewhere else. It all about how I get to hide that complexity and how I feel about that. This is still much uglier than Python in punctuation and nesting, but it works. It creates one element as a time unlike Set::CrossProduct. However, there’s almost nothing to recommend this over nested maps. I hate hardcoded nested loops, though. What I like about Python’s list comprehensions is that they’re almost the same as what you’d write if you were using mathematical set notation. You can understand them at a glance. I love Perl, but Perl doesn’t even come close to this level of readability. You know, I’ve heard several times how readable they are. I guess I just don’t get it. I mean I understand once an example is explained, but when ever I see one out of the blue, I need to recheck what I’m seeing. I’m not knocking it, but I get the impression that python folks seem to think reading them is purely intuitive. It’s like reading C function pointer declarations to me. Or it’s like calling Perl6’s Fibonacci list comprehension intuitive. The python example is actually creating a list of tuples, which also isn’t really a thing in Perl either. There really are times when a list comprehension would be useful in Perl. Love this! I am just now learning some Python (they made me do it), and realized map offered a path in Perl to similar functionality to list comprehensions, but hadn’t thought how to implement it. Please clean out your closet, brian. FizzBin with no ifs, ands, or buts.